Generous and sunny, Provence has long been a privileged territory for the cultivation of vines. Between Montélimar and Avignon, between the departments of the Gard and the Vaucluse lies a part of the vineyard of the valley of the southern Rhone. The typically Mediterranean climate of this area is marked by the mistral which greatly influences the vineyard by its cold and dry character. The result is a great diversity of terroirs with very different grape varieties. The red and rosé wines are dominated by syrah, black grenache and mourvèdre, while the white wines are composed of grapes from varieties as varied as white grenache, muscat with small white grains, clarinet or marsanne . The AOC Châteauneuf-du-Pape remains without doubt the headlining of the wines of this vineyard. Gigondas, Beaumes-de-Venise, Lirac and Tavel (rosé), to name but a few, are wines of great terroir that have acquired over time their letters of nobility and whose fame goes beyond our borders . Around Avignon, winegrowers and wine merchants open their doors to visitors to allow them to discover their domain and their know-how, during a visit, a tasting or a gourmet stroll. The month of October is a privileged time to stroll in the vineyards, which display magnificent colors. Discover our three favorites this autumn! Located in Courthézon, the Cellier des Princes is the only group of producers of the appellation Châteauneuf-du-Pape. Open 7/7, the wine cellar welcomes visitors with more than 170 references and 50 new wines and local products as well as objects of wine and gift boxes. Every month, the Cellier des Princes organizes its “Gourmet Thursday”, an oenological evening about food and wine pairings. For the month of October, the theme chosen is “Les Grands vins de Bordeaux” and will take place on Thursday 20th at 7pm (evening on reservation, 15 € per person). 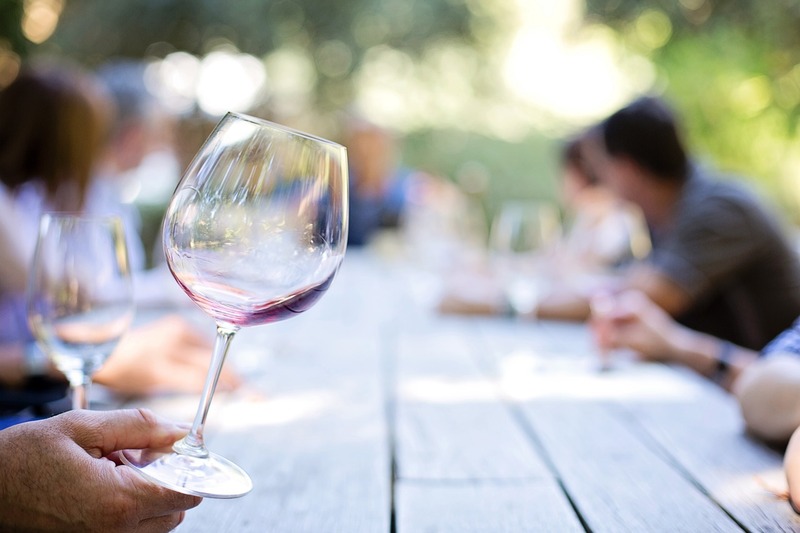 Our good plan Enjoy a free tasting of wines from the vineyards of the region (Châteauneuf du Pape, Gigondas, Vacqueyras …) with code # EP2016 (reservation required). If you are going for a walk in the charming village of Mormoiron in the Vaucluse, do not miss a visit to the Château Pesquié, a family estate with three generations of winegrowers. Open from Monday to Saturday, this vineyard in organic conversion is located at the foot of Mont Ventoux and offers for sale several rosé, white and red wines. A free vineyard trail allows visitors to discover the wine world with family or friends. If the heart tells you, you can then go to the shop and taste the wines for free to discover the range. On reservation (48 hours in advance) you can also take part in introductory workshops to discover the aromas and flavors of the wine or to enjoy a country lunch composed of fresh and local products in the gardens of the castle. Located in Châteauneuf-du-Pape, the Mouriesse oenology lab is not a producer but a school that offers learning and wine discovery workshops to learn the techniques and vocabulary and to learn the basics Of the tasting. An original experience during your stay in Provence! Our good plan Get 10% discount for each participant in one or more sessions scheduled until the end of 2016 with code # EP2016! Discover the other wine estates on our site in the partners section that we recommend for their seriousness and Their smile, and who will reserve you the best welcome! Esprit Provence is an association of owners of gîtes and bed and breakfast carefully selected among the best addresses of Provence and the south of France.